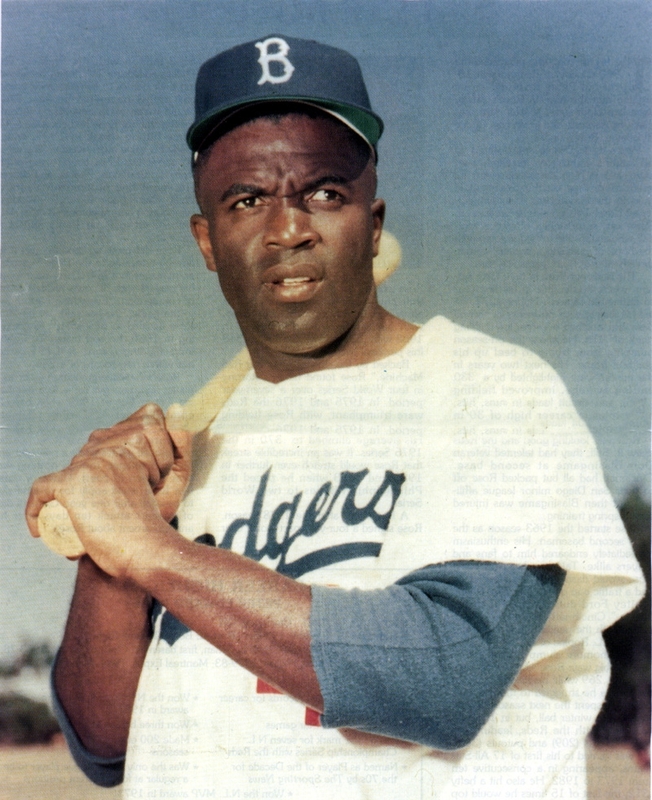 Today marks the 67th anniversary of the day Jackie Robinson stood at first base for the Brooklyn Dodgers, breaking the color barrier in Major League Baseball on April 15, 1947. His bravery, determination and talent ended racial segregation in baseball and paved the way for many African-American greats to come. Each and every Major League Baseball player, manager, and coach will celebrate Jackie Robinson Day today by donning his retired No. 42. You haven't missed the main event however, as it has been rescheduled due to rain in New York. Before the Yankees take on the Chicago Cubs in the Bronx on Wednesday afternoon, Robinson's wife Rachel, his daughter Sharon, Commissioner Bud Selig and others will honor the American icon's career and life. Hosting the Toronto Blue Jays at Target Field this evening to kick off a three-game series that will bring their nine-game homestand to a close, the Minnesota Twins will pay tribute to Robinson with "Celebrate Diversity Day". Pregame at the ballpark includes local musical and cultural performances and Jackie Robinson essay winners will be presented with their awards. Meanwhile, the Twins are back at .500 baseball after being swept by the Oakland Athletics and sweeping the Kansas City Royals. The two series pretty much canceled each other out. Near the top of the American League in runs scored, they continue to hit the crap out of the ball and seriously surprise their fans in that regard. Twins hitters are also showing an immense amount of patience at the plate, drawing an AL-leading 59 walks over their first 12 games. On the other hand, they've also struck out 112 times. Minnesota pitching is still a little dicey to say the least. They're third-worst in all of baseball with a combined 5.17 ERA and 63 earned runs allowed, just four fewer than they've scored offensively. They do seem to be on a small roll with three consecutive quality starts, though. Let's see if Phil Hughes can last six innings when he takes the mound against fellow right-hander Brandon Morrow at 7:10pm tonight. You've skipped school, you've called into work. This day only comes once and year and you've been planning it for months, fighting Cabin Fever through blizzards and the flu season. 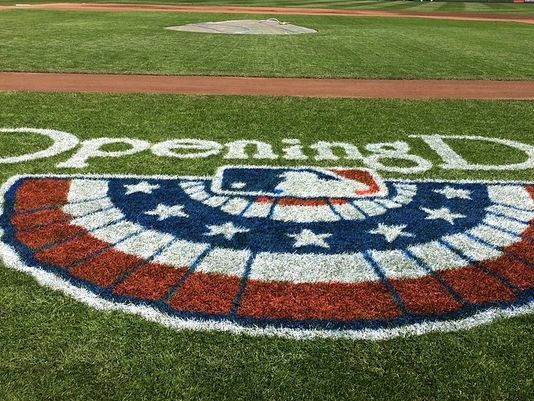 The Minnesota Twins home opener is finally here, and there are so many things to do today you barely know where to begin. One thing is for sure: if you've already started day-drinking, we should probably be friends. Whether you're driving, biking, or walking to the festivities today, you may have already started by having a free ballpark breakfast (especially all you tailgaters - you'll need some sustenance) on the 7th Street side of the Target Plaza from 6am - 9am. After that, you can either go back home and sleep it off, or hang out with your pals around Target Field until lunch time. If you can wait until the gates open at 1pm, Target Field is offering some new and even more delicious food in it's fifth season. Bloody Mary enthusiasts will enjoy one to order with a bacon cheeseburger garnish from Hrbek's Pub. If that doesn't make your mouth water, or you're not 21, maybe you'd enjoy a basket of BBQ rib tips with house-made spicy pickles from the new Butcher and the Boar Grill, located inside Gate 34. The rain should hold off to about a 20 percent chance of it with highs around 55 degrees by game time. The ceremonial first pitch is being tossed by Minneapolis-based actor Barkhad Abdi, who was nominated for an Oscar for his performance in Captain Phillips. If you're interested in meeting Abdi, you will have the opportunity to do so in the Twins Digital Clubhouse in the U.S. Bank Homerun Porch. At around 2:30, local a cappella group Home Free, who won season four of "The Sing-Off" will perform on the field. If you're into watching people sing sans instruments, this is the pre-game spot for you. If you miss it, they will perform "God Bless America" for you later. Also during the seventh inning stretch, "Take Me Out to the Ballgame" will be sung by children from Hope Kids, an organization that provides fun activities for children who are battling cancer. Be sure to watch for Ethan Nagle, a United States Marine from Prior Lake who was recently awarded a Silver Star, to raise the American flag. In this age of technology where few young fans even know how to keep score with a pencil anymore, ballparks have incorporated social media to keep those interested in tweeting, instagramming, and facebooking, just as interested in the game. During the third inning, the Twins encourage everyone to be present for the ballpark photo in which you can later tag yourselves and your friends. Please feel free to send me pictures of yourself, your friends, or your mom at the game for our Facebook album. I'd love to see your beautiful faces. Finally, the first pitch is at 3:10pm, when the Twins put Kevin Correia on the hill against Oakland Athletics left-hander Scott Kazmir. Both teams are headed into today's contest with a 3-3 record. Oswaldo Arcia won't be joining us, and may land on the disabled list if his wrist isn't well enough for him to play by Wednesday. Meanwhile, Josh Willingham was diagnosed with a bruised left wrist after being smoked by a Justin Masterson pitch on Sunday and is considered day-to-day. Whether you're at the field, at home, or in the office today, enjoy the game!